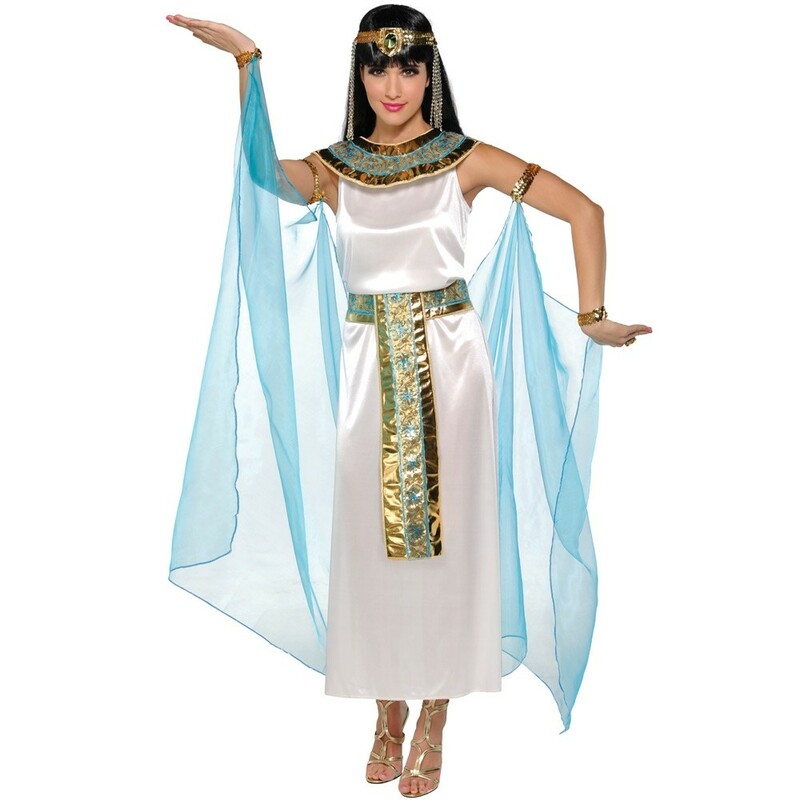 Ladies Cleopatra Dress with headdress, collar, armbands and wrist bands with attached veils. This Ladies Cleopatra Dress is a white satin dress with a finely detailed gold and turquoise fabric belt, matching fabric headdress with faux jewel accent and ornate gold padded collar with blue band accent and gold embroidery details. This Ladies Cleopatra Dress is dramatically finished with gold arm bands and cuffs with an attached sheer cape. Available in Womens UK Dress Size: 8-10, 10-12 and, 14-16. Dress, headdress, collar, armbands and wrist bands with attached veils.